Wyre Forest Labour today reacted with disbelief at the financial incompetence of Tory run Worcestershire County Council, when it was revealed by the NHS that the council’s costs figures used for the basis of the consultation to close Ludlow Road, are actually nowhere near the sums the council claimed. 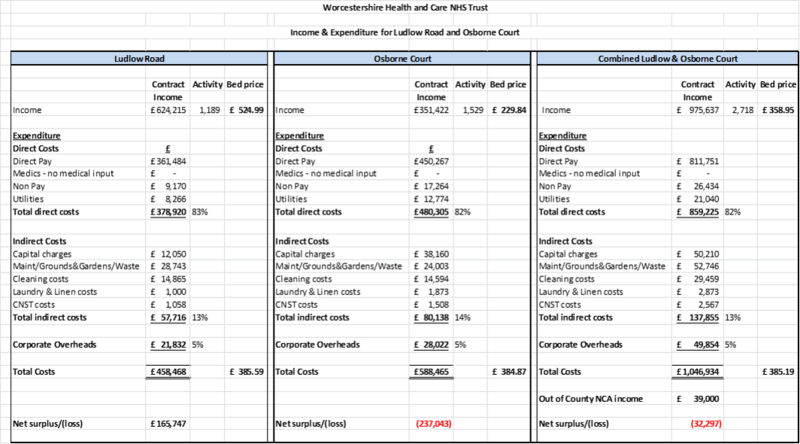 It was the council’s claim that Ludlow Road was too expensive to run that prompted their decision to start the consultation to close the service, but NHS figures now show it costs £166,000 less than claimed per year and, it is in fact, Osborne Court running at a loss of some £237,000 per year. The decision to close Ludlow Road in Kidderminster, which offers respite to some of the District’s & County’s most disabled children, so’s to allow their parents a break to recuperate, caused outrage from parents. It prompted Wyre Forest Labour to launch a campaign to save it and support the parents affected as it quickly became clear that the council’s consultation was deeply flawed and shambolic in approach. A campaign that has seen the parents gain considerable confidence to take on the council and now own the issue and the campaign itself, and in which they have been hugely successful with Labour’s help. It also triggered a Report from the Council’s Scrutiny Committee as other Party’s politicians came on-board to express concerns, and which was highly critical of the council’s consultation and proposal.